Speaking at the Aaj Tak National Security Summit, Sitharaman said, "Pakistan always says it is also a victim of terrorism. But if you are, please take action. Don't play victim". "Pakistan did not admit to have lost its jawans in Kargil war too. They won't even now," Sitharaman added. 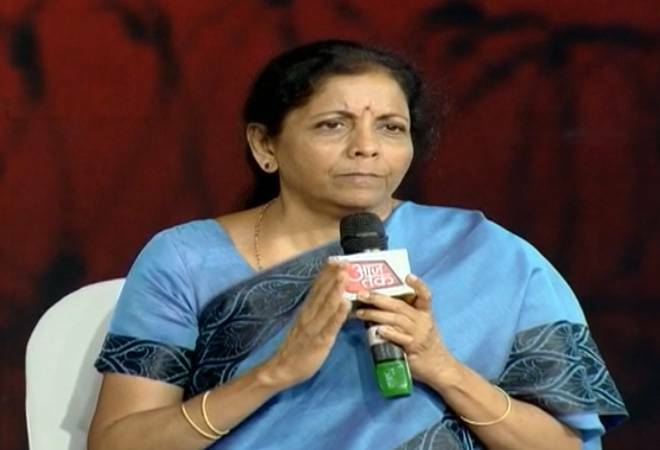 Defence minister Nirmala Sitharaman said on Tuesday if one wants tonic of motivation, he or she should meet Wing Commander Abhinandan Varthaman. IAF pilot Varthaman was released by Pakistan on March 1 as a 'peace gesture' by Pakistan amid escalating tensions between the two countries. On her meeting with the airforce officer, Sitharaman said, "When I met Abhinandan Varthaman, he was calm and composed. He bore no malice against Pakistan. He said it was my job to fight, and I did". Speaking at the Aaj Tak National Security Summit, Sitharaman said, "Pakistan always says it is also a victim of terrorism. But if you are, please take action. Don't play victim". The minister said Pakistan has always remained in denial mode when it comes to their involvement in the terror activities. Referring to the recent dogfight between Indian and Pakistani airforce in February, Sitharaman said, "It is sad that Pakistan is still in denial on shooting down of F-16 aircraft, but we have proof and we have shown some proof of missile, which are compatible only with F-16. I am not revealing the fact, but social media from Pakistan side has revealed the fact about death of their pilot in dog fight." Disclosing the motive of Indian Airforce behind the airstrike in Pakistan's Balakot last month, Sitharaman said, "We have specific Intel input that there was assembling of old and few Fidayeen from February 24 in Balakot to start new course training. The air strike was based on that Intel input also." "My pet peeve is had the government reacted after 26/11 attack in Mumbai, Pakistan would have stopped," Sitharaman added.